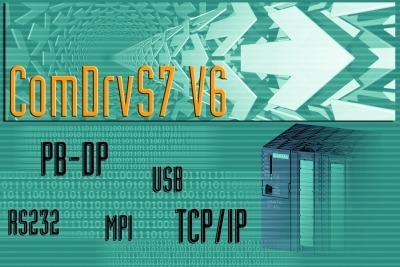 There exists two editions of ComDrvS7: "ComDrvS7" and "ComDrvS7 Micro"
ComDrvS7 can be used with PLCs of the types S7-300, S7-400 and S7-1200 (and compatible PLCs). ComDr7S7 Micro can be used with S7-1200 and LOGO! from SIEMENS. What can you do with ComDrvS7? You can use ComDrvS7 to enable your windows program, written in C++, C#, VB, ..., to access (read/write) the PLC. ComDrvS7 Micro supports the PLCs S7-1200 and LOGO! from SIEMENS. ComDrvS7 has many additional functionality. Read more in the next sections. The first version of ComDrvS7 was released in 1999. ComDrvS7 is reliable, stable and has a very good price-performance ratio. Read and write data blocks (addresses). 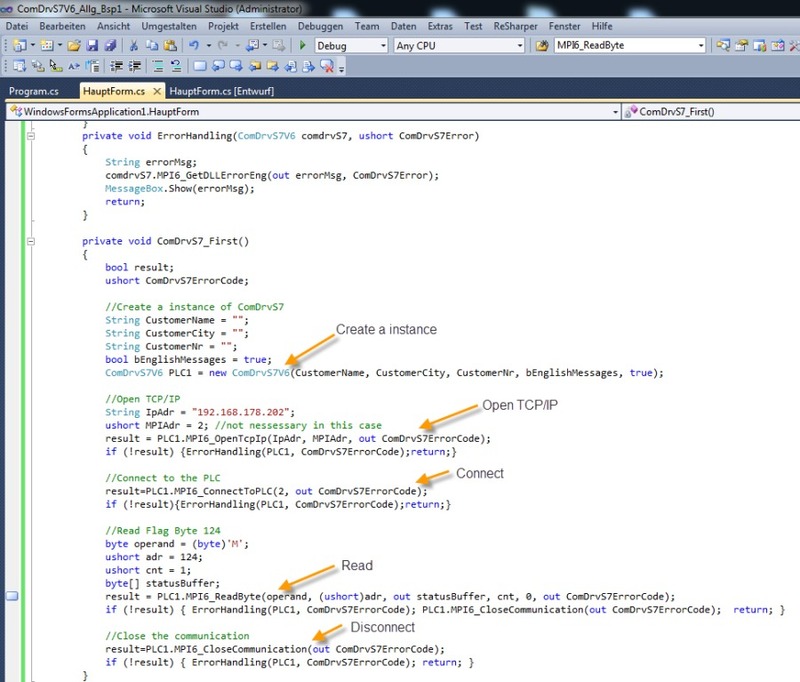 This is only possible if the data block not created with the option "only via symbolic addressable"
See in this video how to use ComDrvS7 with Visual Studio 2010. 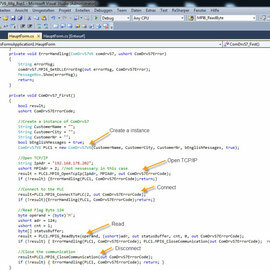 A small "Windows Form Application" in C# will be created and you see how you can access a S7-300 PLC over TCP/IP. Your application must be a 32-Bit-Software. If your application is a native 64 Bit Software you need "ComDrvS7 Developer License" and "ComDrvS7 64 Bit Option for the Developer License"
Update 07-19-2012: Now with many examples in english language.